The actual dimensions of the bottom geometry of each individual sack are measured photo electrically and compared with the nominal values. If set tolerance values are exceeded, the valve patch will be ejected, glue application will be stopped and the defective sack will eject from the production flow by means of a reject gate. The empty place (where is shortage of a sack on production flow) can be detected, correspond with the empty place, the valve patch is ejected through bypass, and the gluing does not apply. Thus, it avoids the stop of machine may cause by valve patch and pasting application for the empty place. PCS had specially designed for pre- detecting the blocking of the production flow. When the foreboding phenomena of blocking are detected, the automatic breaker can act to stop the machine in a very short time. 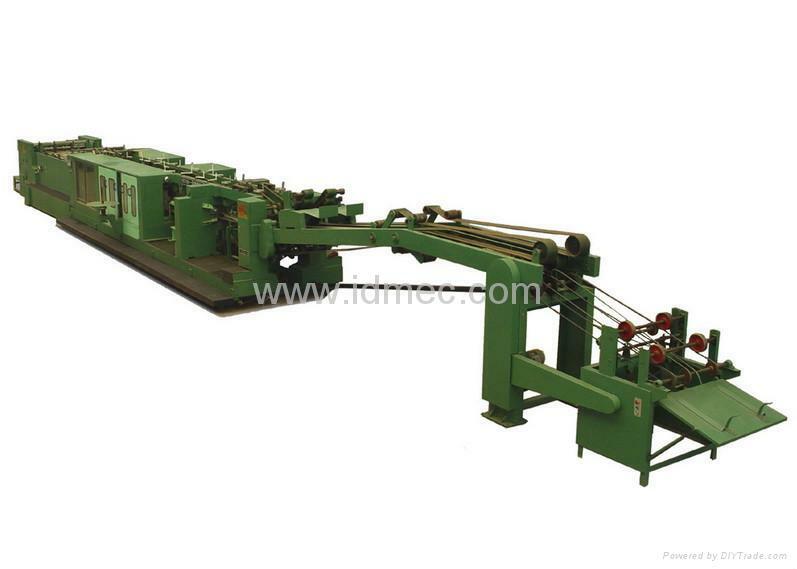 Therefore, it efficiently shortens the duration of machine stoppage caused by blocking. And it is also very important for the safety of the machine itself. In case of double tube lengths are fed, the feeder can automatically eject them from the production flow, and if the blocking happened on the feeder, it will stop automatically. Users can set the quantity of each sack packet according their own will, in the packet station, the sacks are counted then delivered by groups. The frequency conversion control unit guarantees a stable, quick, low-noise and energy saving adjustment of speed. A special designing makes a convenience speed control, the speed adjustment can be done at wherever of control panel, unwind station, printer and so on.